For someone who once said he was a bad investor and so kept his money in bank deposits, Mammootty, born Muhammed Kutty is donning a new role in Business, well through an investment by his family. The Malayalam film stars daughter Surumy, Son Dulquer Salman and son in law Dr Muhammed Rehan Sayeed, together with a Coimbatore partner have set up, Motherhood, a 35 bed birthing hospital in Bangalore. Investment Rs.17 Crore. The birth of his two grandsons, one in the US an the other in India - showed Mammootty, 58, the quality of birthing care indians were missing. The first baby at Motherhood was born on January 10 "A Baby girl", the actor says,beaming. Kochi, Chennai and Coimbatore are next stops for the birthing chain in a 58 Crore expansion. For all his millions - The film press says he charges 1 Crore a movie, Mammootty says he does not want to be an investor in the venture himself, Son-in-law Dr Sayeed, a cardiac surgeon with Fortis in Bangalore, as the chairman of Rhea Healthcare, the company that owns Motherhood, and Surumy, a graphic designer by training, its CEO. Mammootty, with over 300 credits, chairs a TV channel in Kerala, but has no equity in it. The star recently started a film production house. 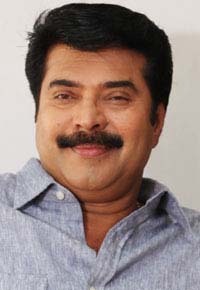 Business, here comes Mammootty.